For my May Anthropology News column, Cool Anthropology Beyond Spectatorship, I was able to consider the hybrid approach between projects that have site-specific installations and the interactive components of a website. The text can be viewed at this link. Link Disclaimer: This link is only active for 4 months. 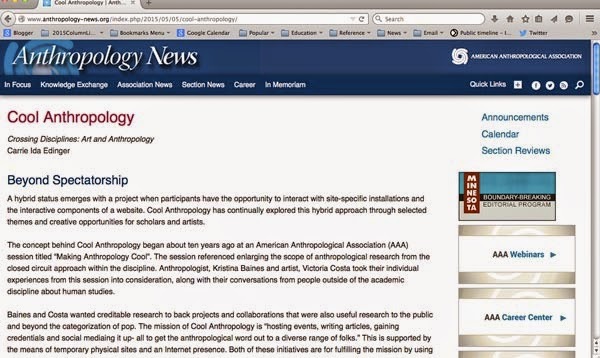 The monthly section of the column will be archived in AnthroSource a digital database of American Anthropological Association publications.